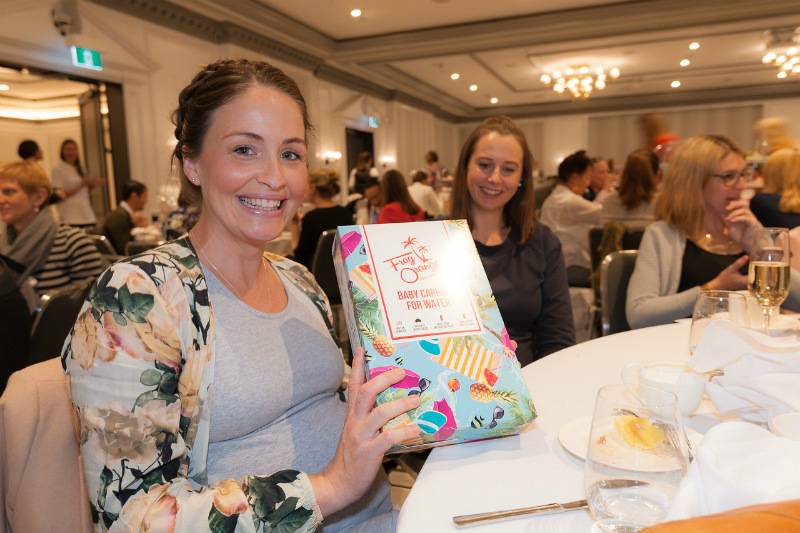 All the winners from our Sydney Baby Shower High Tea! 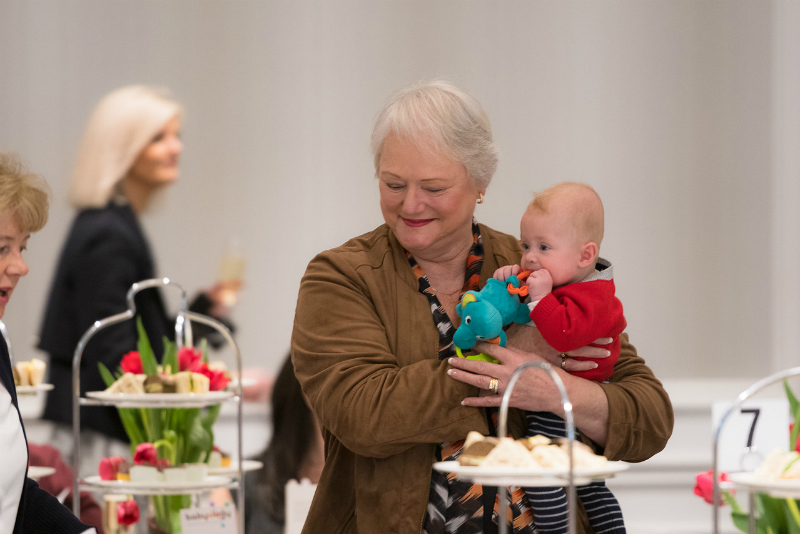 It was chilly in Sydney for our first Baby Shower High Tea on June 25 – but it was all warmth and excitement inside the stunning InterContinental Sydney Double Bay. More than 400 people – mums, grandmas, mums-to-be and friends among them – converged for this sumptuous event, which was six months in the making. 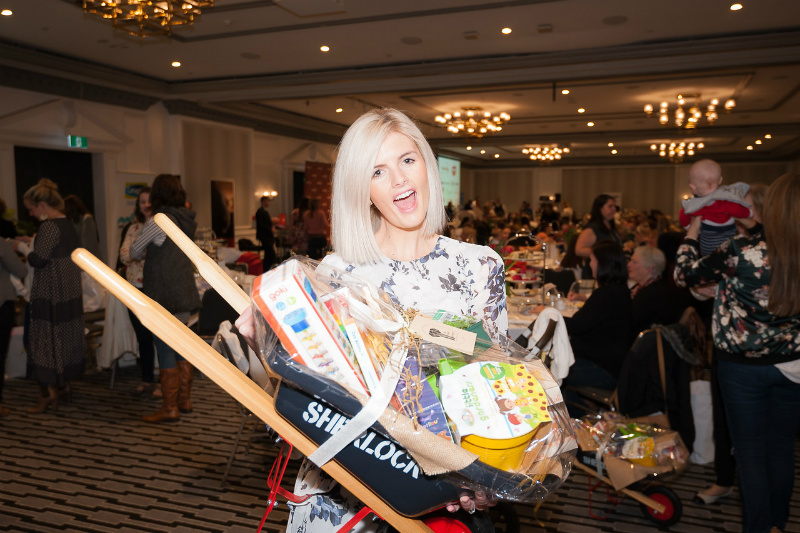 It was more than a little indulgent, with glorious food and plenty of goodies on offer for everyone – including a gift bag for each guest worth more than $200! But there were also some extra-special prizes on offer. Congratulations to all our winners! 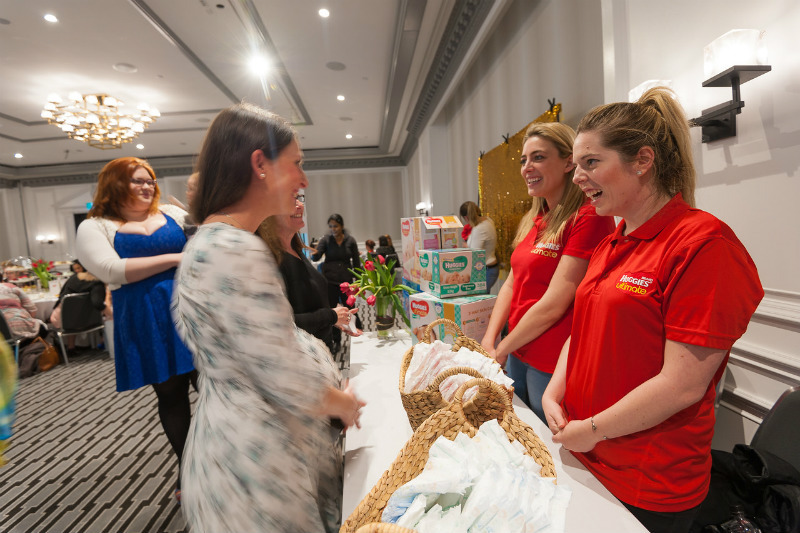 We were thrilled to give away a three month supply of Huggies products to two very lucky ladies, in conjunction with our major Baby Shower sponsor, Huggies. Babies R Us certainly know their stuff when it comes to what new and expecting mums really need. They gave away two $500 gift vouchers so that two baby shower guests could shop up a storm. That wasn’t all though! One of our guests took home the gorgeous Bebe glider as well, courtesy of Babies R Us. Two extremely lucky ladies wheeled away Bugaboo’s latest pram offering, the very handsome Bugaboo Bee5. 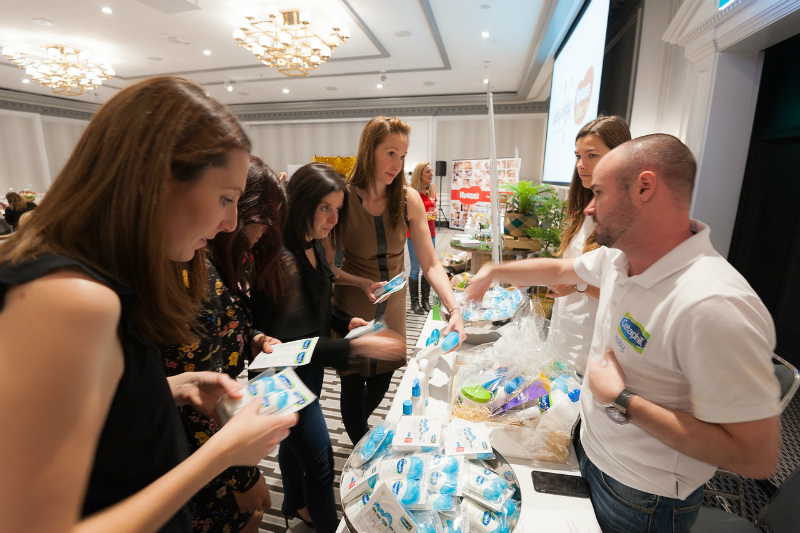 Makers of baby-sensitive skincare products, Cetaphil Baby, offered two winners a hamper of Cetaphil Baby goodies plus a $200 Babies R Us voucher. It was goodies-aplenty with these stunning hampers from The Green Elephant Early Learning Centre – full to the brim with sustainable toys and products to help get little green thumbs into the garden. The delicious food at our high tea only made guests want more of the same! For two winners, that’s exactly what they can indulge in, taking home vouchers to come back and have high tea at the InterContinental Sydney Double Bay all over again. Life-Space know exactly what expecting and breastfeeding mothers need to keep healthy and happy through those demanding days of growing and feeding a baby. So they offered our guests goodie bags full of useful stuff. Four guests were lucky enough to receive not only the goodie bags from Life-Space, but an Endota Spa voucher each as well. Two of our guests took home packs full of gorgeous linen from nursery experts Mamas & Papas, and a very useful Baby Snug seat too. Suavinex make beautiful baby care products known not only for their usability and safety, but also their gorgeous look and feel. Knowing mums love pretty things, they offered four hampers to our mums. The electric breast pump hamper, valued at $350, included all the expressing essentials. The Suavinex bottle pack hampers, valued at $150, included a range of bottles, soothers, soother clips and bottle teats. The four winners of VTech’s Safe & Sound Full Colour Pan & Tilt Video and Audio Monitor will be able to keep an eye and ear on their babies no matter where they are. Westpac gave two of our guests their special Bump hamper, filled with goodies for mum and bub. There was lots of excitement over the swathe of luxury baby hampers we gave away in conjunction with hamper experts Bockers & Pony. Frog Orange gave away their water-friendly baby carriers to lots of our lucky guests, who will now be able to enjoy plenty of water play with their babies. The cool kids’ accessory packs from Goose and Dust were jam-packed with sunglasses, beanies and sun hats. Two of our Baby Shower guests will be embracing a clean nutritional future with vouchers for a home visit from the healthy experts at The Kitchen Cleanse. Thanks to all of our amazing sponsors for making it such a fabulous day! Stay tuned for information about our next Sydney Baby Shower in November.